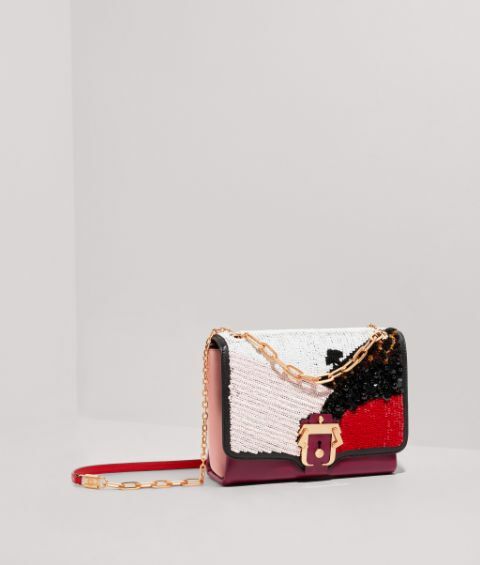 Shine bright with the Alice Skyline, an elegant bag detailed with sequin embroidery in pink, white and red. 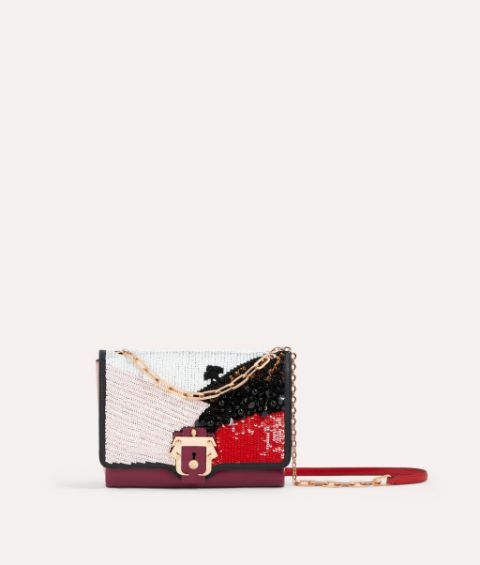 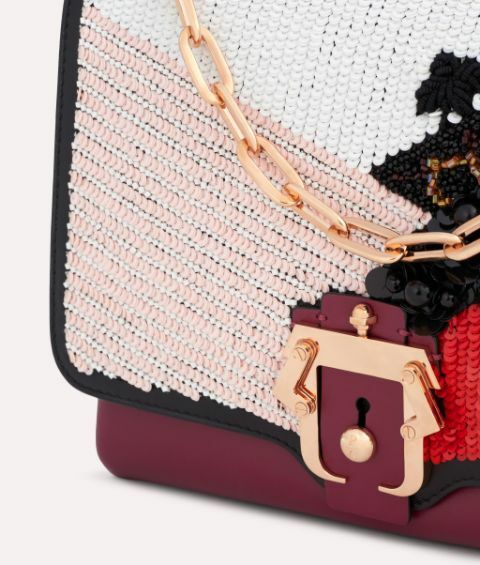 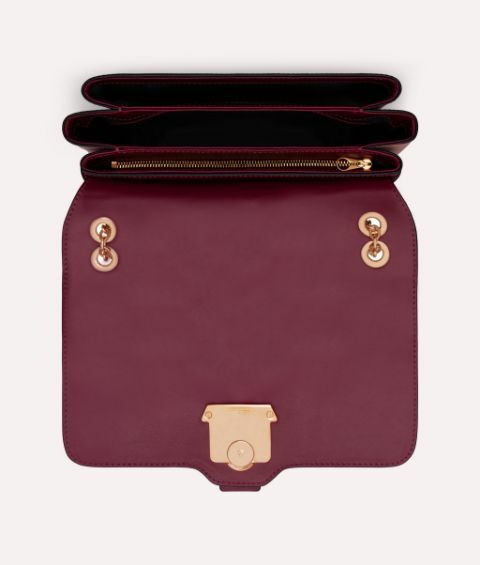 Adorned with leopard sports and beaded embellishments, this Paula Cademartori classic features a front flap closure that reveals three interior compartments. 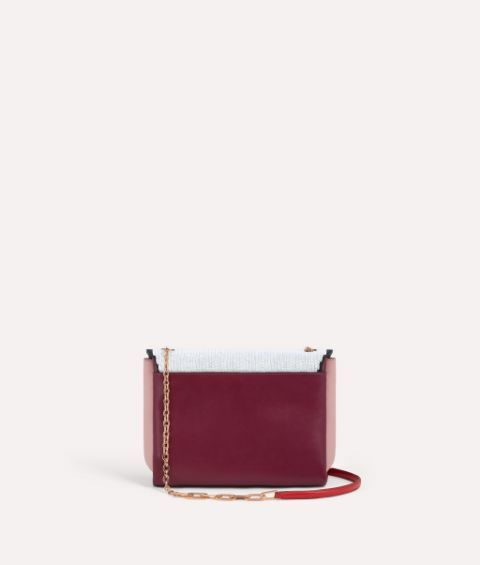 Carry it across the body or double up the rose gold tone chain and slip it over your shoulder.